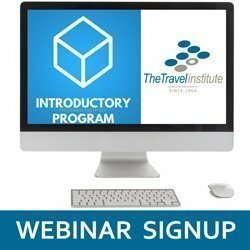 Unlimited Learning at The Travel Institute means access to ongoing expert-led training 24/7! Come see how this can be a solution for you as a busy professional, an agency looking for a turnkey training solution or a new professional agent who is looking to soak up the knowledge from industry veterans and experts. Special offer to all attendees! Join Carla Smith, CTA as she explains what that means to you as a travel agent/independent contractor, owner, manager or executive.